Iram Parveen Bilal’s Josh was screened at the London Indian Film Festival 2013. The winner of the 2012 Women in Film Finishing Fund and the official selection for numerous film festivals all over the world, Josh is a film with a powerful message: people will not be oppressed if they choose not to be oppressed. Speaking to Iram Parveen Bilal after the screening, we asked her: If there is one thing that you want your audience to take away from the film, what would that be? She replied: ‘That one person is enough to start a change’. This is precisely what Josh is about. Inspired by true events, Josh is Fatima’s journey in finding the truth on about what happened to her nanny, Nusrat Bi. Fatima represents a strong, brave and determined woman who not only wants to know the truth, but wants to bring the truth out in the open, for everyone else. Fatima’s fearlessness inspires change and courage within others. Fatima is a school teacher who lives a comfortable life in Karachi with her lawyer father and Nusrat Bi. It is when Nusrat Bi fails to return after a visit to her village ‘City of God’ that a pivotal turning point comes into Fatima’s life. Fatima sets out for the village to find Nusrat Bi-if we tell you what happened, that will reveal too much. However, the journey that Fatima finds herself on is one of truth and change- not just for herself but for the villagers too. A strong point in the film is the extraordinary cinematography. The way that Karachi has been captured is immaculate. An audience member had remarked during the q&a after the screening that being from Karachi, she was moved to tears seeing her city captured so beautifully on the screen. Another strength is how Iram Bilal with ease, takes the viewer right into the culture and heart of the surroundings. One example is of how the camera follows the basket being lowered down from a building for the vegetable seller, making the hustle and bustle come to life. The night shots of the moon and the grain are truly a piece of visual art. Alongside the beautiful cinematography, the shots are brimming with symbolism. The chickens being sliced up in the village add a sinister tone, perhaps suggesting how easy it is to take a life in the village. The monkey dancing on the bonnet of the car symbolises how people are becoming puppets, dancing away to the tune they are fed. Each character was strong in the film. Even those in smaller roles such as the elderly artist selling paintings on the street leave an impression on you and symbolise something deeper. The elderly artist is portrayed as not having his art respected for its true value. This is through a woman who insists that she buys his paintings for a price much cheaper than he has set. Not only does the greed of the rich come out and vulnerability of the poor, but this links into what a different character states earlier in the film: The artist is the only true voice of this world. This character perhaps represents the de-value and exploitation of the truth. If I were to highlight two performances from Josh, then those characters would be: Fatima (Aamina Sheikh) and Gulsher (Adnan Shah). 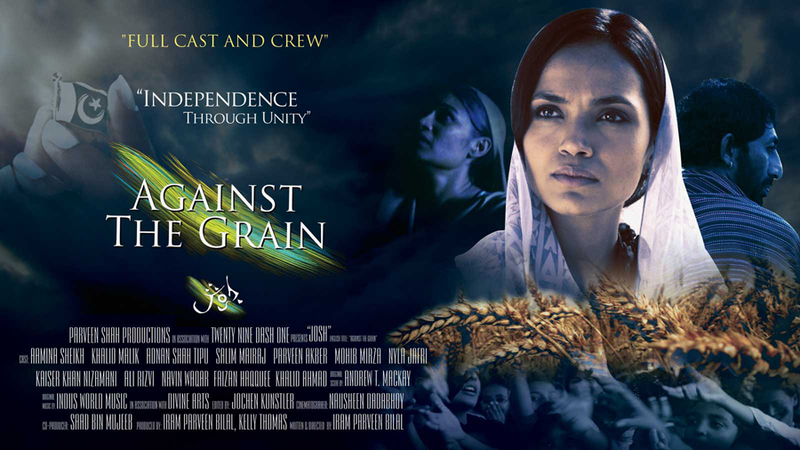 Aamina Sheikh reflects the emotions that Fatima experiences well. The shock, the grief and her sadness in one particular scene is powerful. Adnan Shah plays the ‘villain’ of sorts, Gulsher. However, instead of hating him there is a feeling of sympathy created. This is through Adnan Shah completely embracing the nuances and subtlety that this character requires. He does not really speak his emotions but it is clear that he feels stuck between doing what is right and what has become his duty. The conflict within himself is portrayed by how this character carries himself. His presence, armed with a gun, sends out panic amongst the villagers; but he is a character who is just as vulnerable and helpless as those around him feel. Speaking to Iram on which character is the closest to her heart, she said: Gulsher. Because I feel that a lot of people are stuck. Most people in this world are not white or black- everyone is not white or black. He depicts such a shade of grey. The true test of humanity is when it’s very tough for you to do something right and to stand up for your voice. So that’s why. The soundtrack of Josh is by Indus World Music which is SHahi Hasan and Noor Lodhi, they are joined by Manesh Judge. Half of Josh’s music was recorded in San Francisco and the other half in Karachi. The theme of the film is represented through ‘Mohabbat ka Janoon’ sung by Noor Lodhi. With an electric guitar and tabla, ‘Mohabbat ka Janoon’ has a rock fusion feel to it. The lyrics are beautiful which Noor Lodhi’s soulful voice brings out. ‘Tu Nach’ by Devika and Manesh Judge is an upbeat and fun song which is guaranteed to get you dancing! Other songs include ‘Yeh Dil Kiyun Mera’ by Zoe Viccaji and SHahi Hasan and the English version, ‘The time has come’. The soundtrack is a brilliant example of collaboration between Indo-Pak musicians. A film that has moved many to make a change, Josh is a must watch for the powerful performances, cinematography and poignant message that it delivers: Independence through Unity.